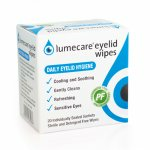 Blephaclean wipes are sterile cleaning wipes used for the daily hygiene of eyelids and sensitive skin, especially in cases of blepharitis. Available as a pack of 20. 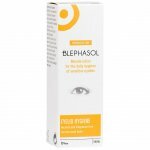 Blephaclean wipes can be used for the daily hygiene of eyelids and sensitive skins (especially in cases of blepharitis). Bleaphaclean wipes are free from detergents and preservative, Blephaclean gently cleanses without irritating the eyes or damaging the outer layers of the skin. By virtue of its sophisticated formulation, Blephaclean wipes not only cleanses the skin but also moisturises the outer layers. Sensitive skin is soothed and regenerated by hyaluronic acid (a natural skin moisturising agent), capryloyl glycine, Iris Florentina and Centella Asiatica. 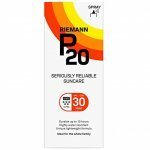 Developed by dermatologists and recommended by ophthalmologists. Hydration. Hyaluronic Acid to repair the eyelid elasticity. Use Blephaclean wipes as directed, usually once or twice a day. Simply remove wipe from sachet and gently wipe along the lower inner eyelid, the upper and lower eyelids and lash area. There is no need to rinse afterwards. Repeat for the other eye using a new wipe. In the interests of patients who exhibit sensitivity to unnecessary additives, Blephaclean Wipes are formulated without the use of preservatives or perfumes.